Coomhola Salmon Trust has won the 2017 IPB/LAMA Award for “Most Significant Contribution to Water Quality”. 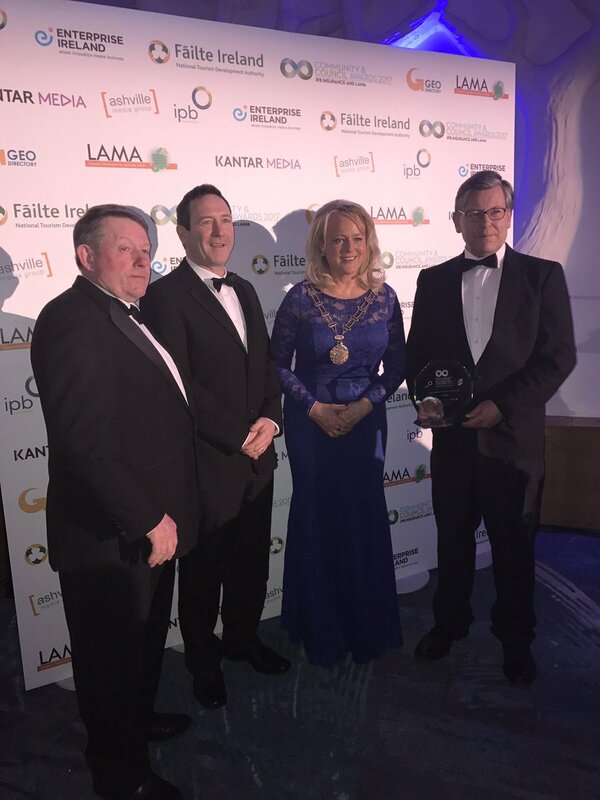 The 2017 IPB/LAMA Award for ‘Most Significant Contribution to Water Quality’ has been won by Coomhola Salmon Trust of Bantry for their ‘StreamScapes Waters & Wilds Community Engagement’ Programme. The Local Authority Members’ Association/LAMA ‘Community & Council Awards’, sponsored by IPB Insurance, are presented annually to State Agencies, Local Authorities and Community initiatives which have achieved distinction, and the award to StreamScapes was to acknowledge their innovative ‘Catchment’-based approach to promoting citizens’ awareness and stewardship of local aquatic and biodiversity resources. StreamScapes projects have been produced in Catchments all around the country, from Cork and Kerry up through Limerick, Clare, Galway and including cross-border initiatives in the River Erne in Fermanagh and the Ulster Blackwater involving Monaghan, Tyrone, and Armagh. Judge 1: The significant contribution to water quality made by Coomhola Salmon Trust is deserving of recognition on a number of fronts. Not only did they manage to construct a project that was challenging in terms of budget, they focussed on keeping the education of end users a priority to ensure long term sustainability. Their consideration for operational costs was equalled by their focus on changing attitudes and behaviours to create a win-win in terms of educating the citizen and making it a cost effective process in the long term. It is a model for embracing the “catchment concept” for managing water and wildlife and will inform, engage and motivate the local population for years to come – a true example of real life sustainability.